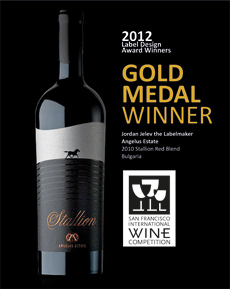 2012 • Yordan Jelev is a label design Gold medal winner at San Francisco International Wine Competition which is the most respected wine competition in America. 2010 • New version of RIP Prinergy 5.1.2.1 incorporating Adobe's PDF Print Engine for faster operation and support of complete transparency. • System upgrade for PDF workflow from input to output - "Prinergy Evo" to "Prinergy Connect"
2009 • New printing facility in West Industrial Zone - Varna with administrative and production premises of 3000 sq.m. 2007 • Powerful KODAK InSite internet portal system. On-line sending, reviewing and approval of files for printing via the Internet.